What Does Obama Stand For? In this morning’s production meeting, Bill called our attention to David Brooks’s latest column — “The Elevator Speech” — in The New York Times. Here’s an excerpt. “Obama has been reactive. He has been defined by the various negotiating positions he has taken in his confrontations with Congress. He’s used a more partisan political style to mask his small-bore policy substance. It’s not clear what he is passionate to do if he is elected for another four years. Brooks goes on to lay out the three options he thinks Obama has for making a strong case for a second term. The first involves an all-out assault on global warming, the second a focus on fixing broken capitalism and the third embracing the Bowles-Simpson deficit-reduction plan. 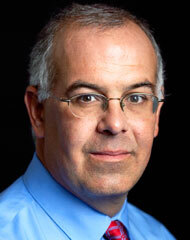 What do you think should be centerpiece of Obama’s campaign — his “elevator speech,” as Brooks calls it? One of these three goals, or something else?